The tube project here is going to be a challenge for both Spot and the photographer …. 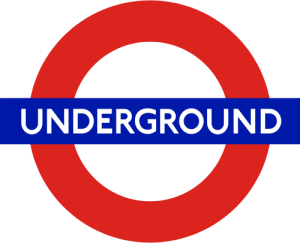 We want a picture of Spot stood beside a station roundel on each station of the London Underground. This will entail us travelling the entire tube network, getting off at each station, getting the picture stood beside the roundel and then on all-4’s at the roundel before boarding the next train and moving to the next platform. The challenge originated with us wanting to do the Circle line route before the 13th December 2009 when it will cease to be an actual loop line. So, on the 20th November the project began… And the circle line was completed that Friday night.